This Herman Miller chair still has that new car scent it's that clean. 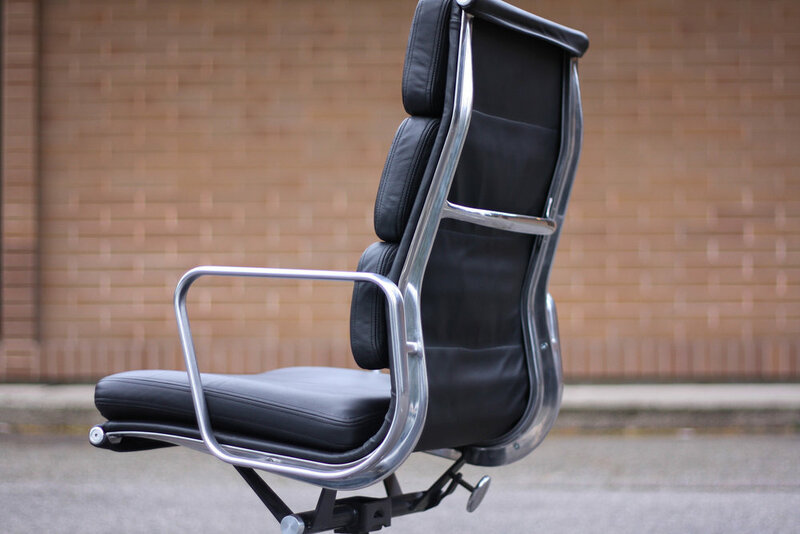 The only way to find a better condition Eames Soft Pad would be to fork over $3000 for a new one. 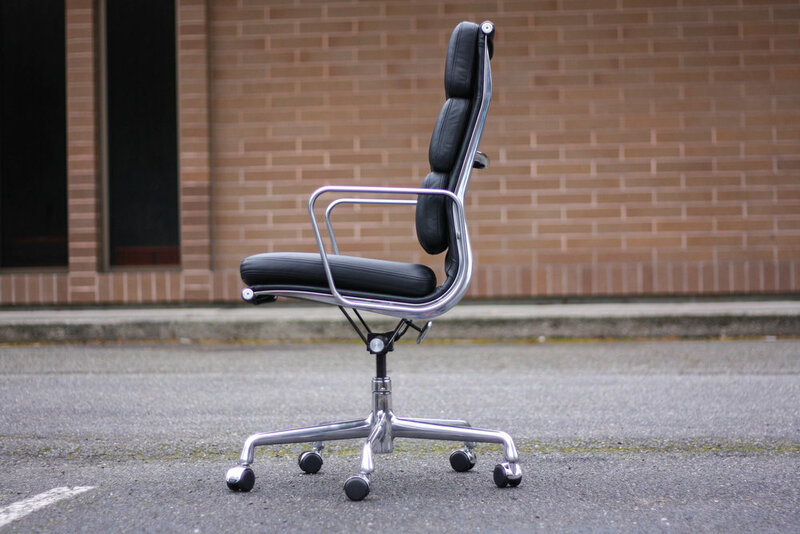 The black leather and polished aluminum base are in excellent condition and will be a show stopper in your office space. Tilt control. Seat height can be adjusted to meet a variety of needs.